All Posts Tagged With: "mark On the Edge Hook Up Liquid Eyeliner in Cleo"
Actress Aubrey Plaza has made her mark on the red carpet of the Hollywood premiere of the new movie Funny People! mark celebrity makeup artist Mai Quynh helped her make her mark, and below she dishes on how she created her stunning look! Eyes: “Aubrey wore a beautiful classic strapless Dolce and Gabbana dress. Since it was simple, we wanted to play up her makeup for a gorgeous dramatic look! I started by applying mark I-Mark Custom Pick Eyeshadow in Corset from the lash line to her crease using the mark All Over Eyeshadow Brush. Evan Rachel Wood was spotted in Paris promoting her latest film Whatever Works, a film directed and written by Woody Allen. I can’t help but noticing her red lips, perfectly flawless complexion, and beautifully lined eyes. 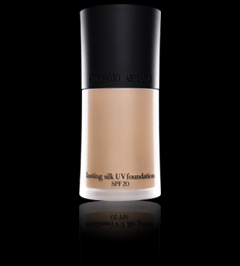 To get Evan Rachel Wood’s inspired flawless complexion try Giorgio Armani Beauty Lasting Silk UV Foundation SPF20 in your shade.